Mooncake lovers will revel this season with a new era of Mid-Autumn festival treats! This Mid-Autumn festival, Nobu Kuala Lumpur is presenting a series of Japanese-inspired mooncake collection featuring unique flavours of Japanese ingredients. Nobu has always been recognized for its Japanese-Peruvian influences in its modern cuisine. A first this year, Executive Chef Philip Leong and culinary team has incorporated delectable Japanese flavours into the Nobu Style Mooncakes. 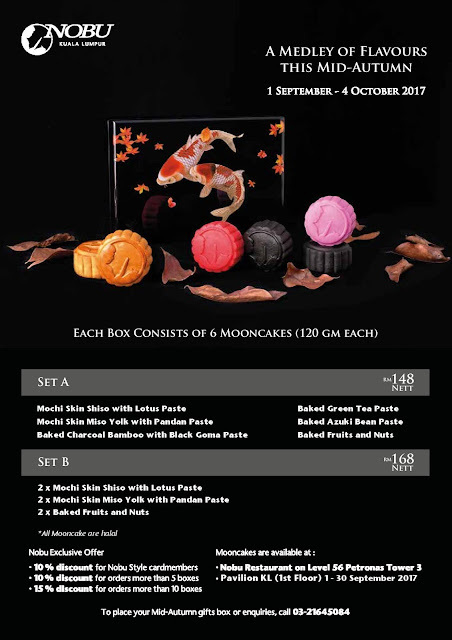 Nobu is featuring six Nobu Style Mooncakes for purchase as well as two Nobu Style Mooncakes for dine-in only. Using the finest Japanese ingredients such as Miso, Green Tea, Shiso and Black Goma, Nobu Style Mooncakes is available in traditional baked or mochi skin. 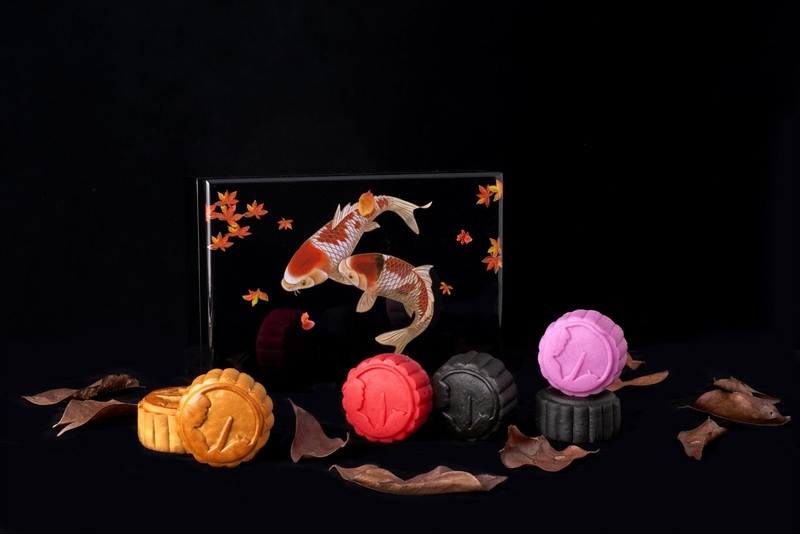 The six Nobu Style Mooncakes are Baked Green Tea Paste, Baked Azuki Bean Paste, Baked Fruits & Nuts, Baked Charcoal Bamboo with Black Goma Paste, Mochi Skin Shiso with Lotus Paste and Mochi Skin Miso Yolk with Pandan Paste. The Baked Green Tea Paste has a beautiful essence of bittersweet green tea note while the pretty pink Mochi Skin Miso Yolk with Pandan Paste is unique in flavours of sweet and savory with perfumed pandanus note. The Mochi Skin Shiso with Lotus Paste is another revelation of flavours as the delicate Japanese mint leaf aroma and flavour goes so well with creamy and nutty lotus paste. One can’t beat classic Baked Azuki Bean Paste and Baked Fruits & Nuts. These are familiar flavours that has withstood the test of time. Another unique one of Baked Charcoal Bamboo with Black Goma Paste epitomizes modern presentation as well as flavour with its nutty and aromatic black sesame note. These gorgeous mooncakes are presented within an opulent lacquered box with gold trimmings. The exquisite box, illustrated with symbols of luck, prosperity and good fortune with a pair of Koi Carps among the Mid-Autumn leaves, makes a great lavish gift that is reusable. Whether one is presenting this as a gift or saving this keepsake for own use, Nobu’s mooncake box is truly a beautiful keeper. 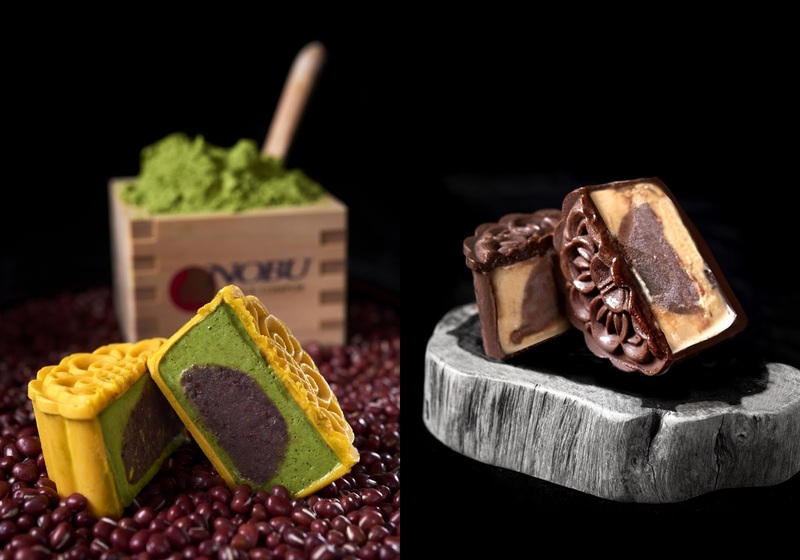 Just for this festive season, Nobu is also showcasing two dine-in mooncake desserts of Green Tea & Red Bean Chocolate Mooncake and Miso & Chocolate Ice Cream Mooncake. The green tea and red bean mousse in Green Tea & Red Bean Chocolate Mooncake is light, creamy and encased in chocolate shell. Flavours are truly classic Japanese favorites. The Miso & Chocolate Ice Cream Mooncake is unusual but the sweet and savory truly works like a match made in heaven. Both are only available at Nobu dine-in and is priced at RM50 each. The Nobu Style Mooncakes are sold in two packages at RM148nett and RM168nett, in a box of 6 pieces. Enjoy 10% off when you purchase 5-9 boxes or if you’re a Nobu Style card member, and 15% off for 10 boxes and above. The Nobu Style Mooncakes will be available for orders and pick-up at Nobu Kuala Lumpur starting September 1st 2017 to October 4th 2017. 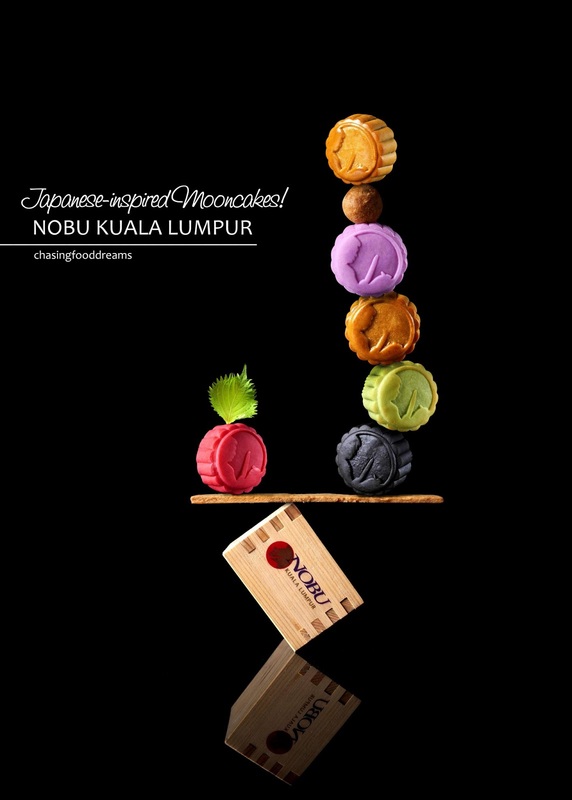 In conjunction with Mid-Autumn festival, Nobu Kuala Lumpur will also be having a special kiosk at Level 1, Pavilion Kuala Lumpur from September 1st to September 30th, 2017 where patrons will be able to purchase the Nobu Style Mooncakes. For inquiries, reservations and to place orders, please 603 2164 5084 or Whatsapp 019 389 5085.